Fundamental to the success and safety of intravascular procedures, such as embolization or percutaneous transluminal angioplasty (PTA), is the visualization of the catheter and guidewire relative to the area of treatment. To-date this is achieved with X-ray fluoroscopy. 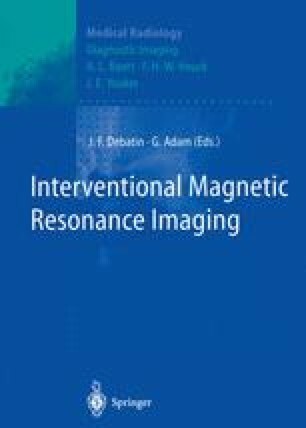 Exposure to ionizing radiation, limited soft tissue contrast, and the inability to image in cross section have motivated the exploration of alternative imaging strategies.